The Middle Ages was a hairy time in England. Not only did you have to be wary of peasants revolting, Vikings pillaging your town, and the Black Death, you also apparently had to worry about undead zombies rising up, too. In a new study, published in the Journal of Archaeological Science Reports, researchers from Historic England and the University of Southampton claim they have found the "first good archaeological evidence" that Medieval England believed in the undead. They suggest villagers in the settlement of Wharram Percy, North Yorkshire used to cut-up, dismember, mutilate, and burn the remains of their dead. After matching up these findings to historical documents, they believe it’s likely they were mutilated out of the fear they could otherwise arise out their graves. The 137 pieces of bone excavated at Wharram Percy came from at least 10 separate individuals and date back to between the 11th and 14th centuries CE. They showed burn marks and numerous other marks that appear to have been sliced with a knife. However, the marks were particular odd; they were around the skull and neck. 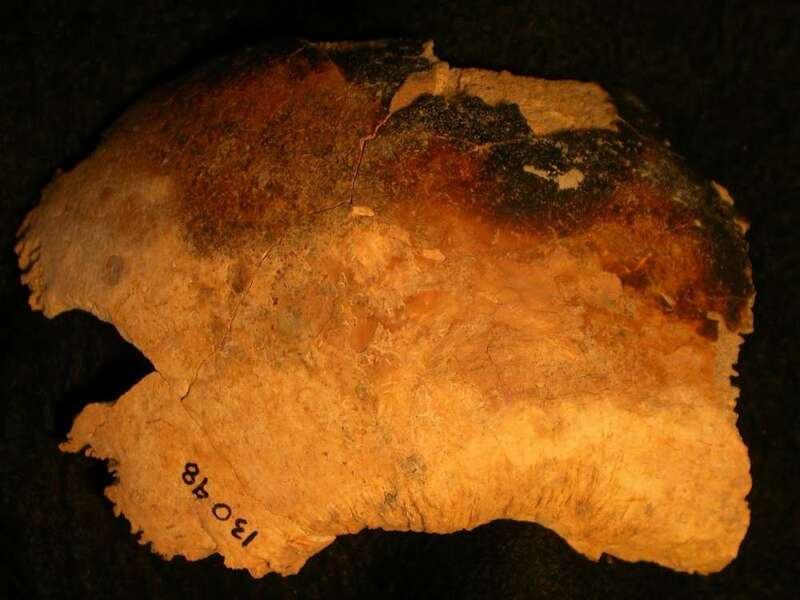 This suggests that they were not butchered, perhaps for meat during a famine, but were violently attacked to dismember the body as much as possible. Some cultures mutilate the dead of undesirable outsiders as a mark of disrespect. However, these corpses were proven to be local people. "Strontium isotopes in teeth reflect the geology on which an individual was living as their teeth formed in childhood," Alistair Pike, of the University of Southampton, who led the teeth analysis, said in a statement. "A match between the isotopes in the teeth and the geology around Wharram Percy suggests they grew up in an area close to where they were buried, possibly in the village." But what calls for such a violent treatment of a fellow member of the community? In the Middle Ages, it was a common folk belief that corpses could rise out of their graves and cause havoc to the living, spreading disease and attacking violently. Those who had led an "evil" life or had a score to settle with the living were especially prone to this behavior. Medieval writers documented that people were advised to decapitate, burn, or obliterate the body by any means necessary to prevent this from happening. "The idea that the Wharram Percy bones are the remains of corpses burnt and dismembered to stop them walking from their graves seems to fit the evidence best," Simon Mays of Historic England said. "If we are right, then this is the first good archaeological evidence we have for this practice."